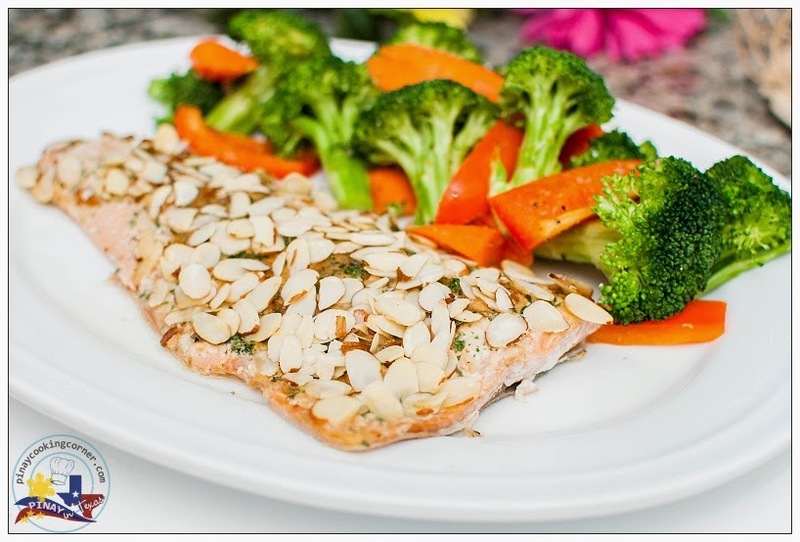 Looking for a simple yet delicious way to prepare salmon? Well here's what you're looking for. 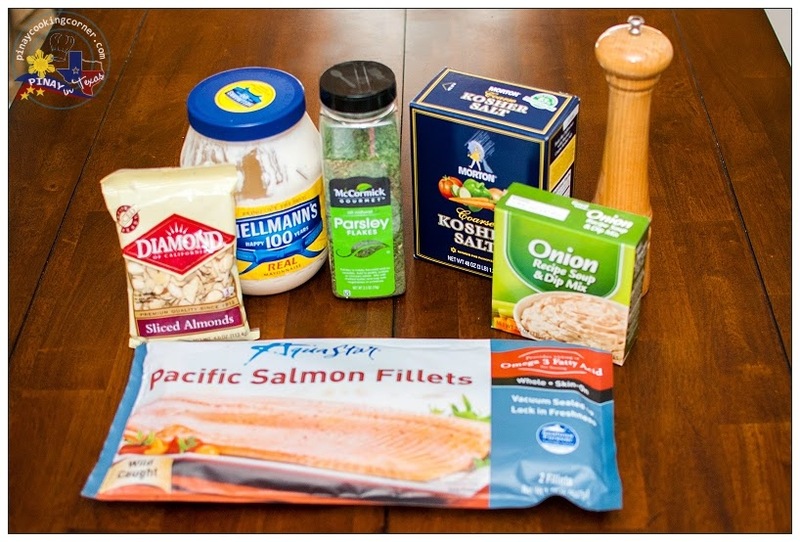 In this recipe, mayonnaise and onion soup mix are all you need to flavor the salmon. 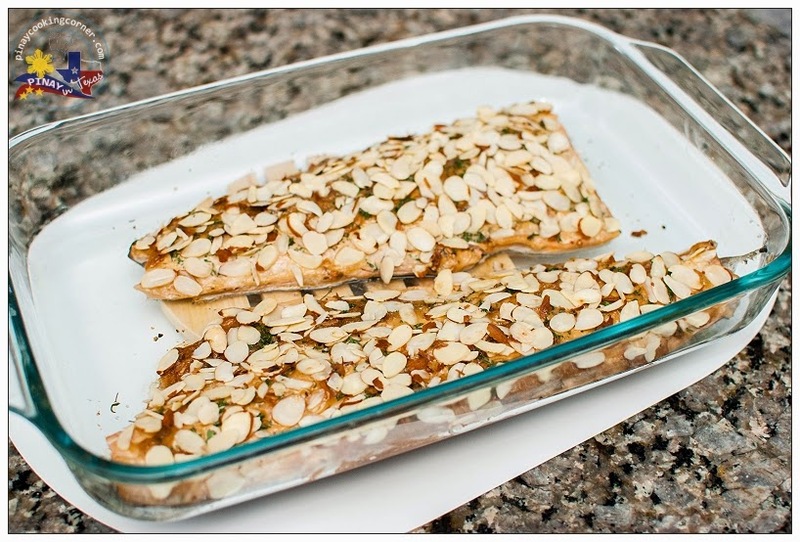 The toasted almonds are scattered on the top for crunch and added flavor. You'll surely be surprised with how easy and quick the preparation is, and you'll love the fancy and delicious result! 1. Lightly grease a baking dish with olive oil. Lightly season salmon with salt and pepper, skin side down on baking dish. 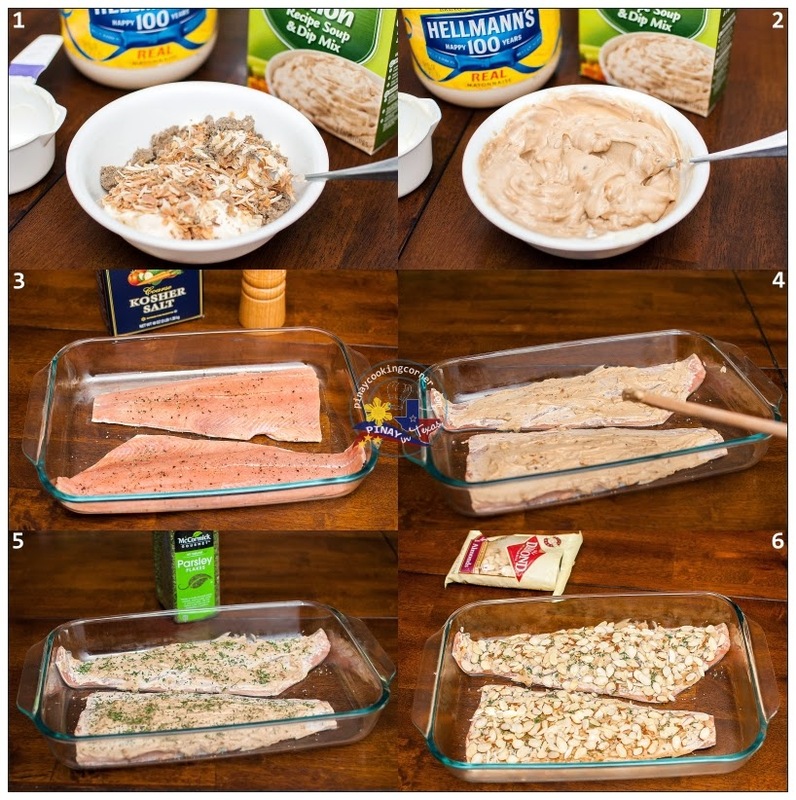 Mix mayonnaise and the onion soup mix in a small bowl then spread over fish. Let sit in the refrigerator for about 15 minutes. 2. Preheat oven at 350ºF. 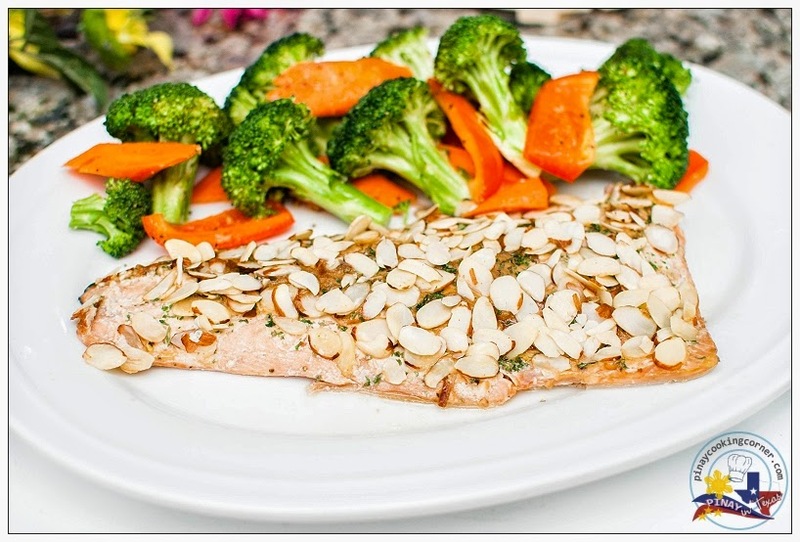 Top salmon with almonds and parsley flakes. Bake for about 15 to 20 minutes. Serve warm with your favorite vegetables and steamed rice. Wow! This is mouthwatering! Will definitely try it! I just finished making this tonight and it was delicious!!! The almonds really added a nice crunch!